The SLK roadster is suited for sporty stylish individuals who want elegance and speed. 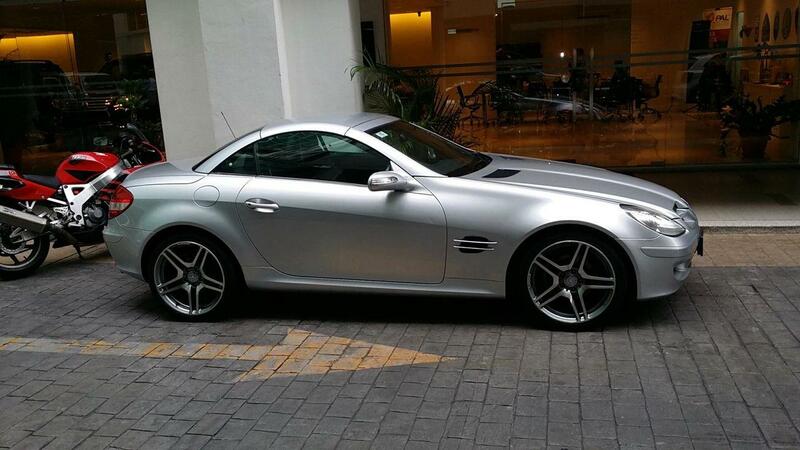 The sexily sculpted design of the SLK gives it a soft look but furious in the inside of its bonnet. MercedesSLK 200 is getting the right meaning of luxury and sophistication. Both the interior and the exterior of this luxury car have been designed to make you feel like an elite and rich. Thanks to the roomy interior the driving is amazingly pleasant with enhanced leather which gives the additional luxury look and feel which means that the ambiance is extraordinary. The inner door has a chrome finish which gives higher sophistication and a great royal look and also the instrument panel is perfectly defined and offers the car a classy look. The electrically lumber seat support is made from premium leather which makes it even more luxurious. The car gets classier look thanks to the wheel which is also wrapped in leather. Another interior features are digital clock, trip meter and more. This car is not only having a wonderful design but also that design is made to give a great pleasure and comfort. People who had the chance to drive this car has only reported positive interior comfort boot for the driver and the passenger. Mercedes SLK 200 has a damping system which is selective. The present upholstery leather of the car provides with comfy sitting arraignments and the seats are having a sporty look because of the magnesium frames that are supporting the leather. The Mercedes SLK 200 has a COMAND APS that will guide you to the destination you have chosen. Hiring this luxury car will also give you great entertainment thanks to the multimedia system, navigation system for the hard disk, color display, map display 3D, DVD player and more. However, it also has a surround sound system Harman Kardon Logic 7 and digital output Dolby and this will make the ride pleasure and joyful. The SLK Series in Mercedes is known to be one of the most powerful of the series. The power and its popularity come from the unmatchable performance of the V8 engine and because of this it delivers a power of 540Nm of peak torque and 421bh. The engine is also recognizable because of the responsive characteristics and by delivering refined performance. From the V8 engine you will have effortless and powerful drive. On the other hand, the petrol engined SLK 200 compressor has 1796cc displacement. This engine has Manual Transmission of 6-speed and Automatic Transmission of 5-speeds. The 200SLK engine has great power 184 hp at 5500 rpm and also a great torque of 250 Nm at 2800-5000 rpm. When the above specifications are put together, it is easily noticeable that this luxury car is perfect for hiring because it will give you powerful drive and amazing performance. There is no need to think about the safety with this car because it is high. The powerful engine is combined with a safe drive. 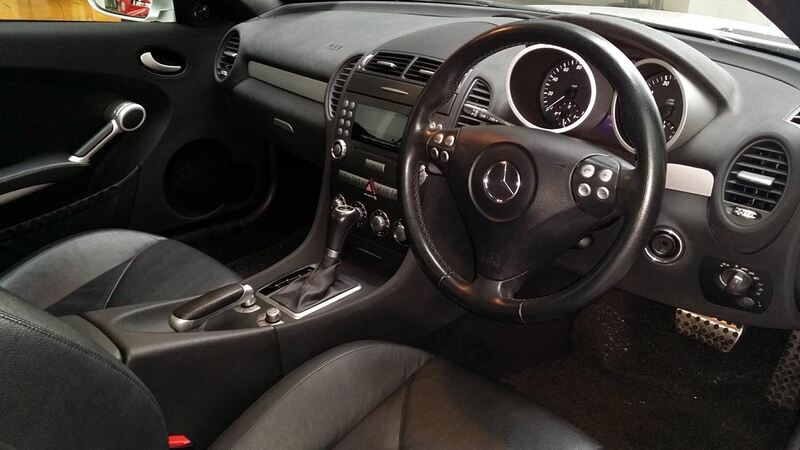 This luxury Mercedes SLK 200 has passive and active features for safety. Mercedes is well known for the best safety you can get from a car and it is still continuing to deliver that. This means that by hiring this luxury car you will be taken care of any side of the car, comfort, power and also safety. Get going now with the Mercedes SLK 200 and turn heads when you drive it. Contact us now or make a booking immediately!